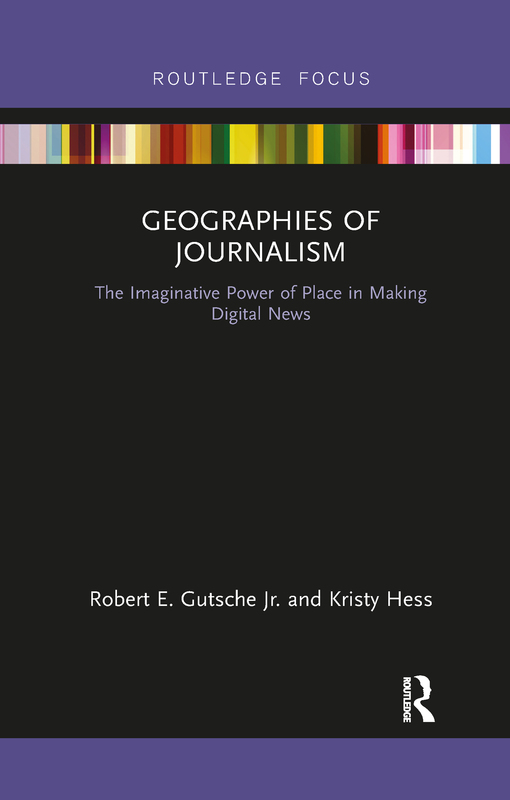 Geographies of Journalism connects theoretical and practical discussions of the role of geotechnologies, social media, and boots-on-the-ground journalism in a digital age to underline the complications and challenges that place-making in the press brings to institutions and ideologies. By introducing and applying approaches to geography, cultural resistance, and power as it relates to discussions of space and place, this book takes a critical look at how online news media shapes perceptions of locales. Through verisimilitude, storytelling methods, and journalistic evidence shaped by sources and news processes, the press play a critical role in how audiences shape interpretations of social conditions "here" and "there", and place responsibility for socio-political issues that appear in everyday life. Issues of proximity, place, territory, news myth, placemaking, and power align in this book of innovative and new assessments of journalism in the digital age. This is a valuable resource for scholars across the fields of human geography, journalism, and mass media.